Building Employee Morale - Missed Opportunities is an entertaining and thought provoking dramatization that suggests a solution to the "Meets Problem." The "Meets Problem" occurs when an employee feels like they've received a poor score when they've been rated as Meeting Standards during a performance evaluation. You could also call it the "The Meets Paradox," because a Meets Standards rating doesn't seem to meet anyone's standards. Or does it? Should it? 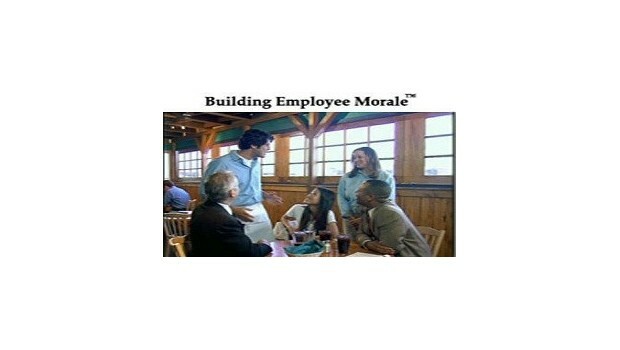 Even if you do not do formal performance evaluations - Building Employee Morale has practical applications; the "Meets Problem" doesn't reserve itself only for formal appraisals - it rears it's ugly head in informal discussions, interdepartmental relations, and even at home! Don't be unimpressed by employees who are receiving JUST a Meets Job Standards rating on evaluations. Employees who are meeting job standards should be praised for doing so. If a Meets Job Standards rating is not an impressive accomplishment, your job standards need to be re-evaluated.